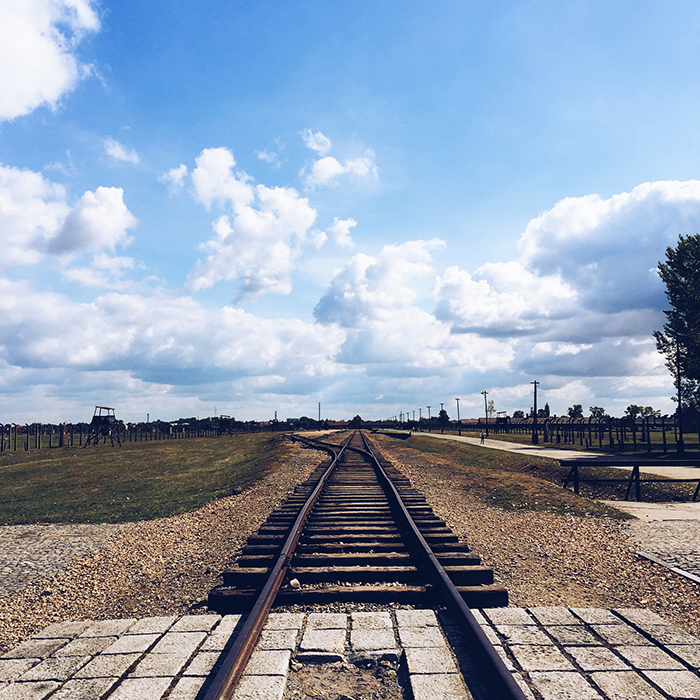 It’s a little odd to say this, but the tour of Auschwitz-Birkenau was definitely the highlight of my trip to Krakow. While the story behind all of it is truly horrible, unthinkable and incredibly inhumane, the entire day was very thought-provoking and educational. We started our tour at Auschwitz where all of the original barracks, buildings and crematorium still stand. At the museum, they display everything from shoes and other belongings confiscated from the victims, to dozens of tons of human hair (which the Nazis actually used to create items like socks and haircloth for German soldiers – sickening). 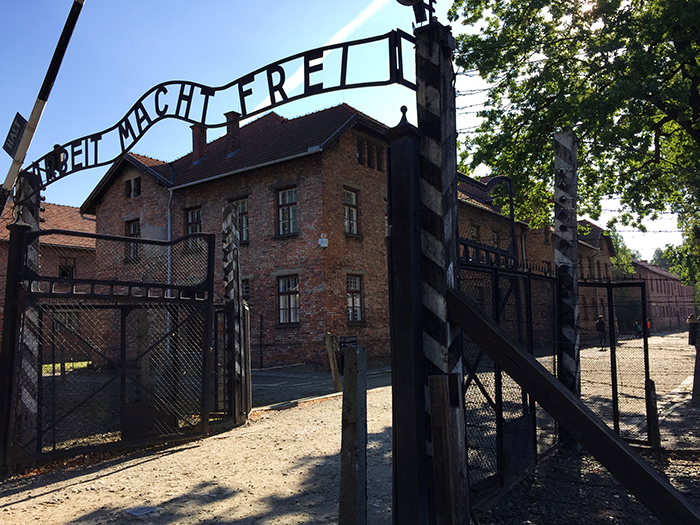 You leave this part of the tour a little weak – it’s hard not to feel ill.
After we finished up at Auschwitz, we drove over to Birkenau. This may not be news to all of you, but I was literally flabbergasted at how massive the scale of Birkenau was compared to Auschwitz. Auschwitz seemed large to me. 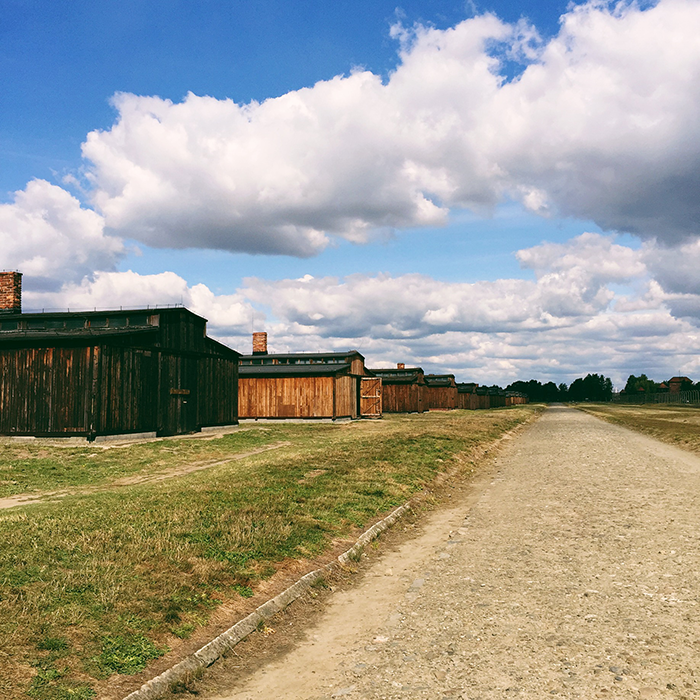 The pictures you see of Birkenau online don’t do it justice – it’s seriously unbelievable. We’re talking hundreds and hundreds of prisoner barracks and four crematoriums. The site is huge. In addition to entering a few of the prisoner barracks that are still standing, there is a memorial and the ruins of Crematorium 1 and 2 you can check out. I would not recommend doing this day trip without a tour guide – I went through this tour company and was very pleased! The tour guide we had was incredibly knowledgable and answered all of my questions (I asked an annoying amount). It’s incredibly important for everyone to know and remember what happened there – it’s something you must see for yourself. In addition to the Auschwitz-Birkenau Small Group Tour I did, I also joined in on a FREE walking tour of the Jewish Quarter and former Ghetto. This was such a great tour as well! We visited a number of the old synagogues, saw some neighborhoods featured in the Schindler’s List movie, and walked through the former Ghetto to see the Krakow Ghetto Memorial. You do walk a ton on this tour, so I wouldn’t recommend this for anyone with any kind of disability or can’t stand for long periods of time! And while the tour was free, be sure to leave a good tip for your guide. Ours was great! 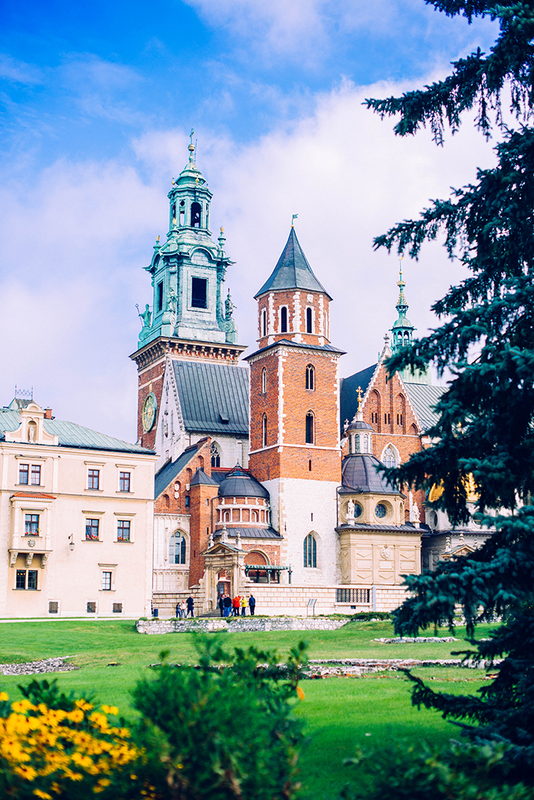 One of the non-holocaust related things I did in Krakow was visit Wawel Castle. 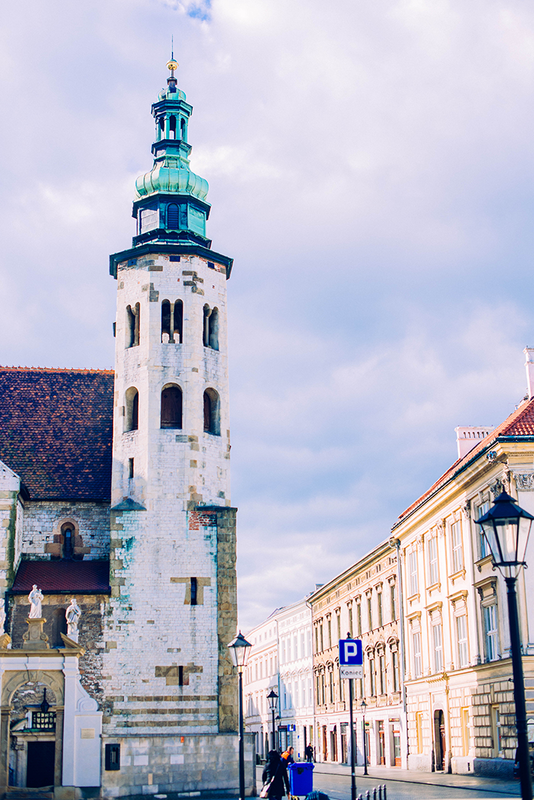 Situated in Old Town just steps from the main square, this fortress, castle and cathedral are just within your grasp and easy to do if you don’t have a ton of time in the city. The cathedral is beautifully ornate and the audio guides give loads of interesting facts and stories behind the rulers that resided there. 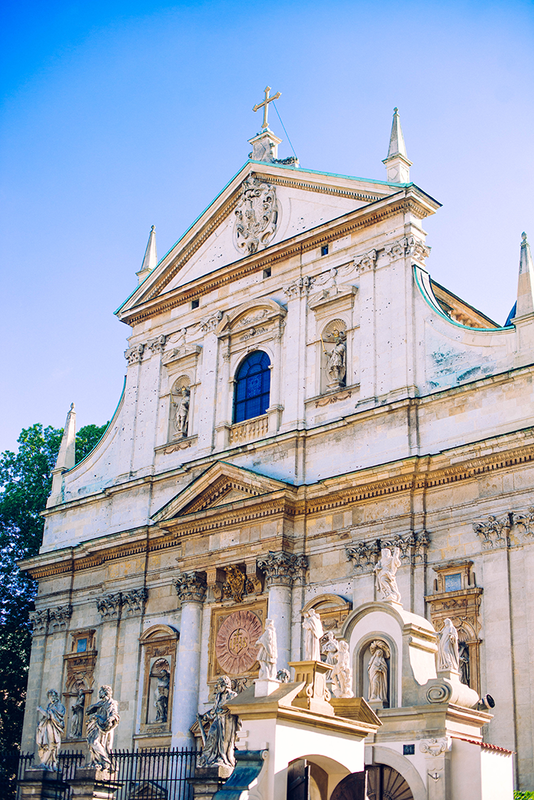 The cathedral also contains a crypt holding the tombs of all the old Polish Kings! Very interesting. 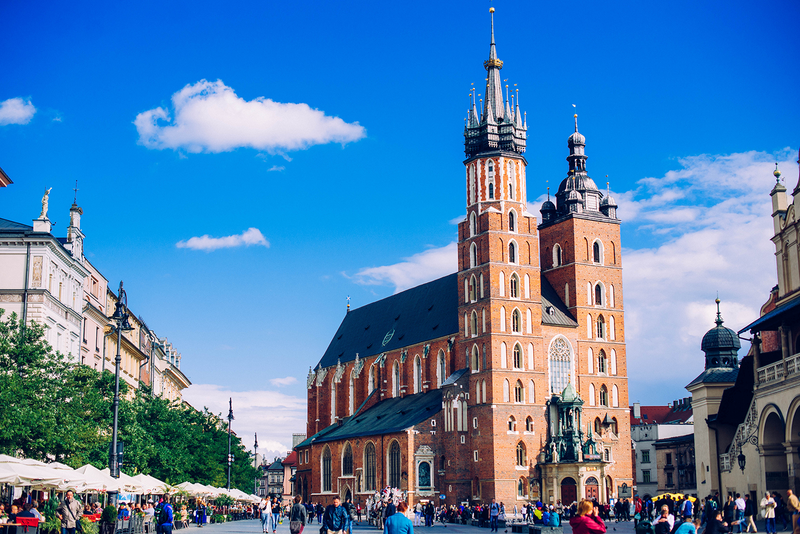 One of the main attractions in Krakow is the main market square in Old Town. It’s actually the largest market square in all of Europe! It was built in the 1200’s (crazy), and features quite a few stunning structures in and around it. You’ll find St Mary’s Basilica, Cloth Hall and Town Hall Tower. This square also boasts dozens of fun indoor/outdoor eateries, ideal for grabbing lunch or dinner and people watching. Scroll down for my faves! On my last day in Krakow I hit up Oskar Schindler’s Factory. It’s about a 7 minute walk from the Ghetto Memorial, so would definitely recommend doing it the day you check out that area. The first few rooms of the exhibit are super cheesy – I almost left because it seemed so dumb… but I’m glad I didn’t. 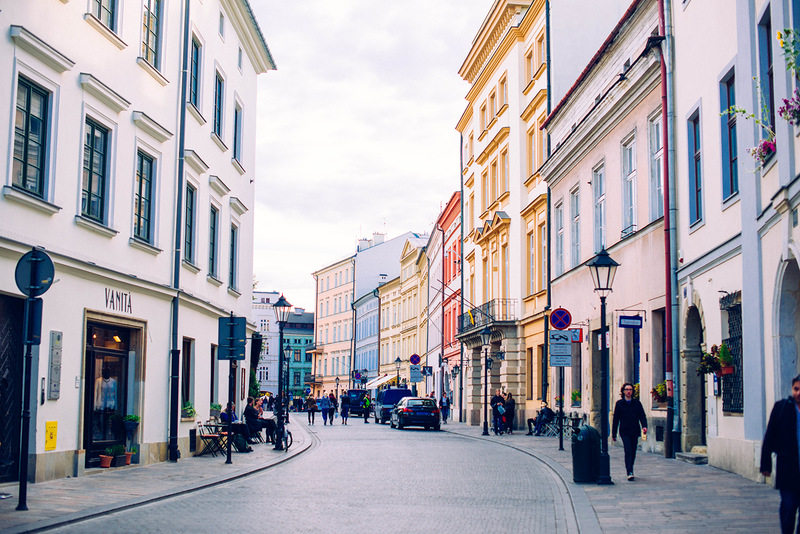 Walking a little bit deeper you hit a timeline of all the events leading up to and during WWII, as well as the years following and how that effected Krakow. The exhibit gets incredibly in-depth and you get to learn specific details about and see personal photos owned by Poles, Jews and Germans that were taken during the time. It’s a pretty big museum, so I would give yourself at least two hours if you plan to look at and read everything. Highly recommend this! St. Mary’s Cathedral in Old Town Square. 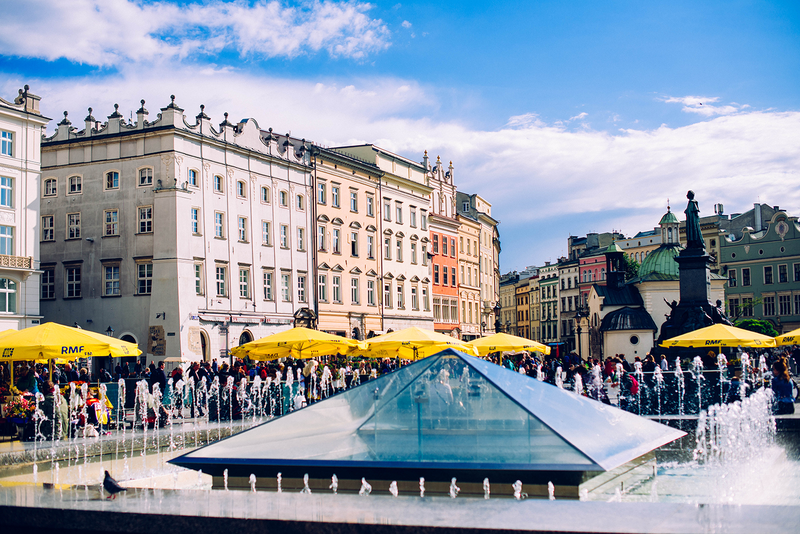 The hustle and bustle of Krakow’s Old Town Square. 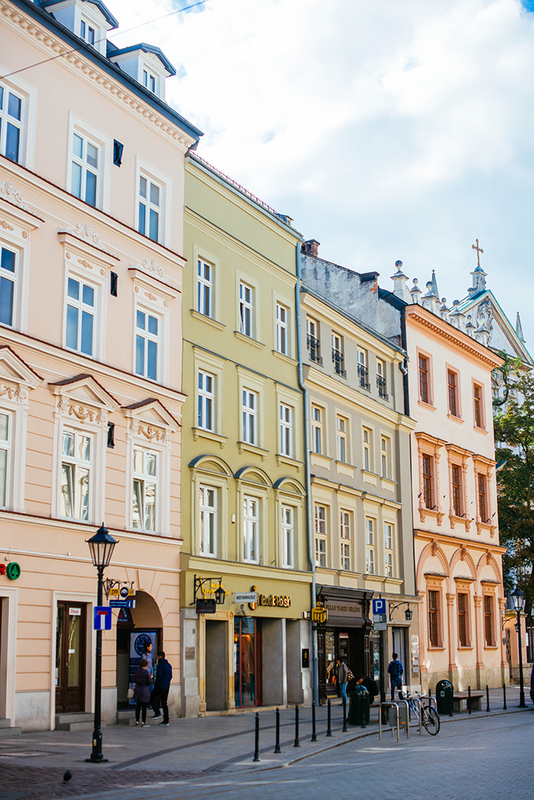 A charming little street off the square, and visiting Wawel Castle. 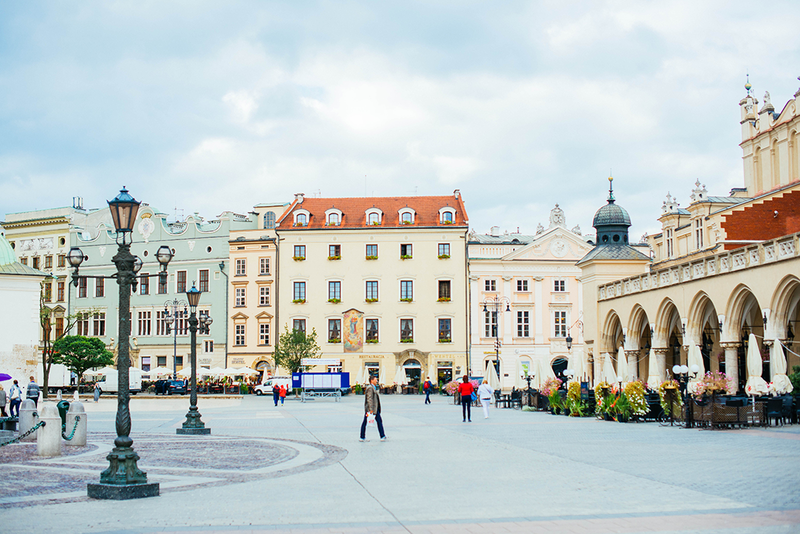 Another look at Krakow’s main square. 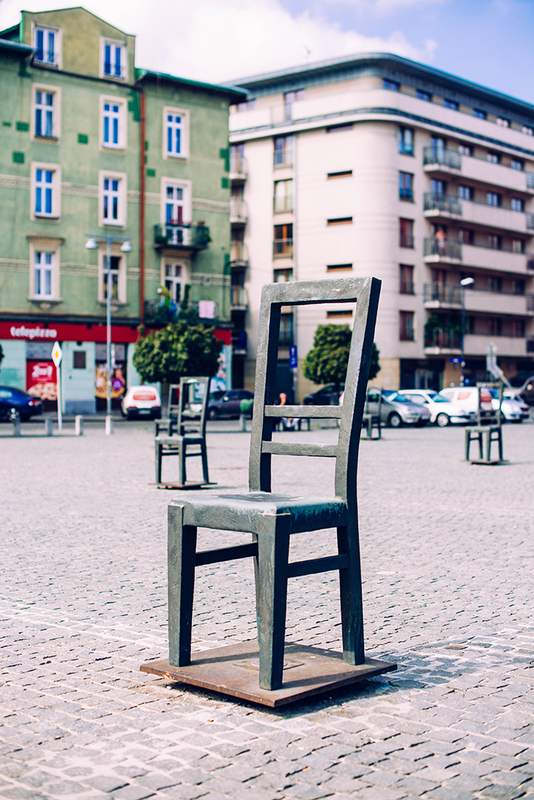 Wawel Castle and the Krakow Ghetto Memorial – one chair represents 1,000 victims. There are too many chairs. 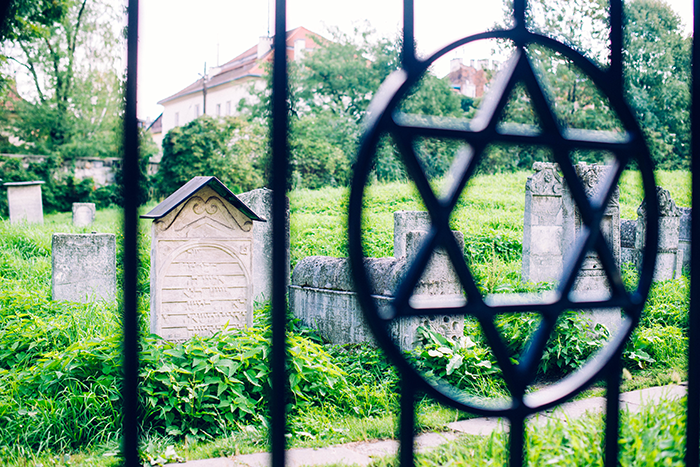 An old Jewish cemetery I found strolling through Krakow and the infamous entrance at Auschwitz. Another peek at Wawel Castle. Berkinau // train tracks leading into Berkinau. 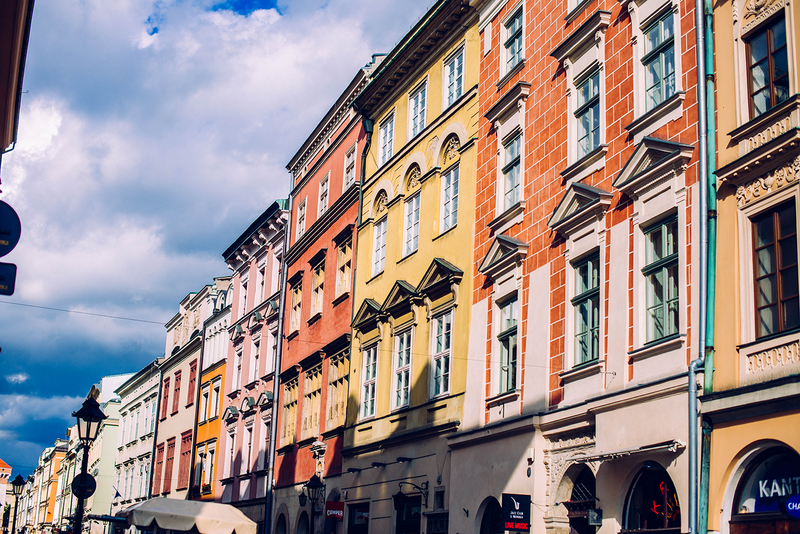 Colorful buildings line all the Krakow streets. Another look at town square. For excellent local fare right on the market square, I have two recommendations. 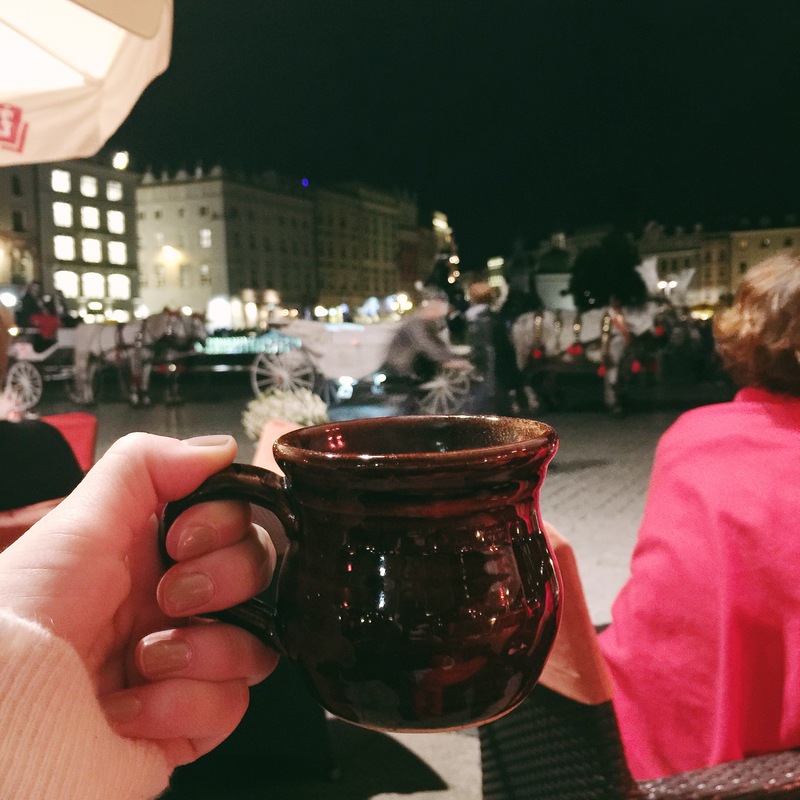 If you’re looking for a cozy spot inside (it tends to be on the chilly side here, I’ve quickly discovered), head on over to Wesele. This was actually a recommendation from my cab driver who took me from the airport to my hotel and he was spot on! 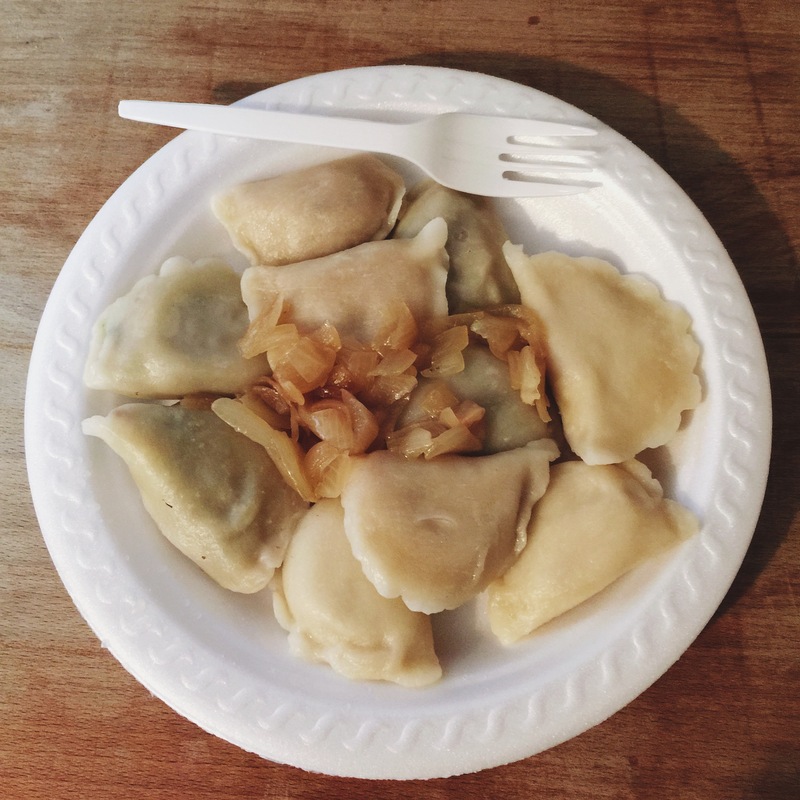 The day I tried this spot I was with an expat I met on the walking tour I’d done earlier that day – we shared Pierogies to start (YUM!) and then I ordered a salad for my entree. 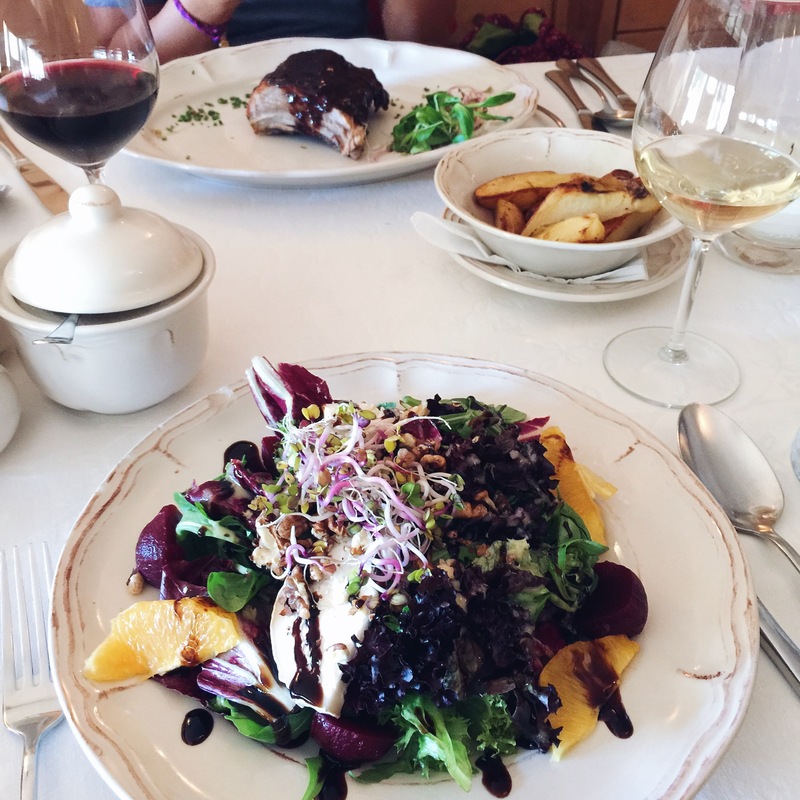 She ordered pork ribs which looked incredible, and my salad was beautifully presented and delicious! The other spot on the square I’d suggest is Pod Sloncem. I ate outside here on a particularly chilly evening, but they offer blankets and warm cocktails like mulled mead and wine! I was perfectly content. For food, I ordered their pancakes. Now, it’s not quite like the pancakes we had in Amsterdam – these are rolled up like a burrito with various toppings stuffed inside. Mine contained curried chicken with cauliflower, broccoli, corn and peppers and came with a creamy garlic sauce. Ok, so maybe it wasn’t the healthiest meal ever, but it sure was good! 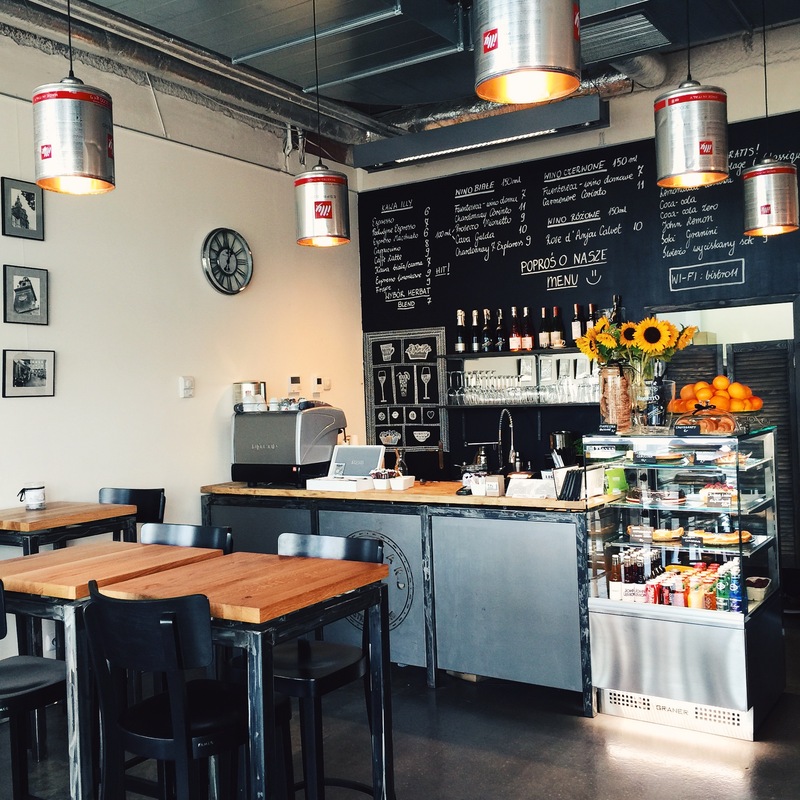 If a cafe atmosphere is more your style, try Boulevard 11. 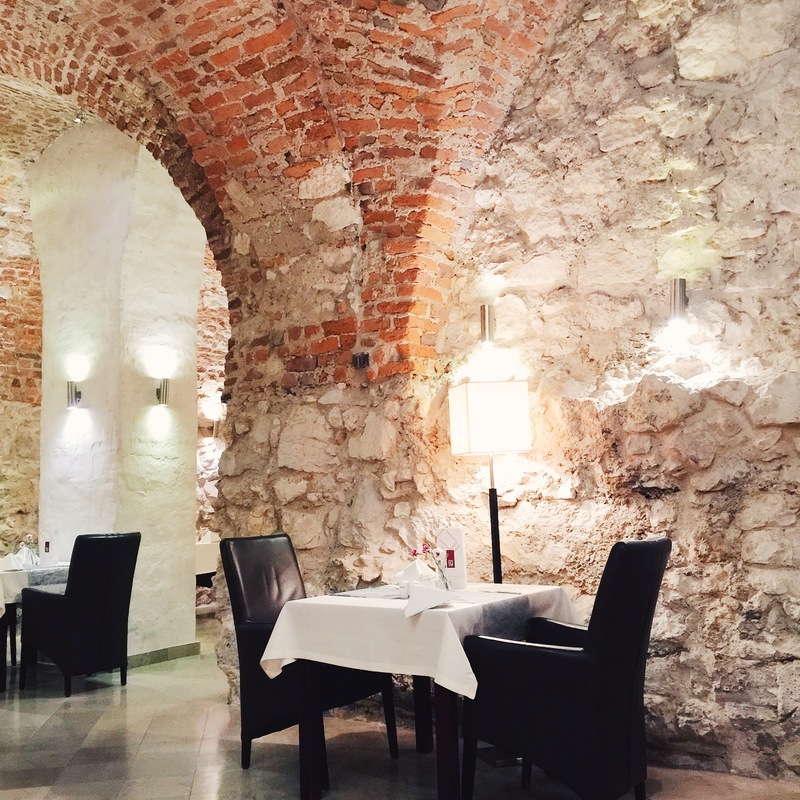 This adorable spot is situated right next to the former Jewish Ghetto, and just a short walk from Schindler’s Factory. This is a great option for a day when you’re already planning to be over in that area, since it’s a bit of a walk from the Market Square. So cute and yummy! 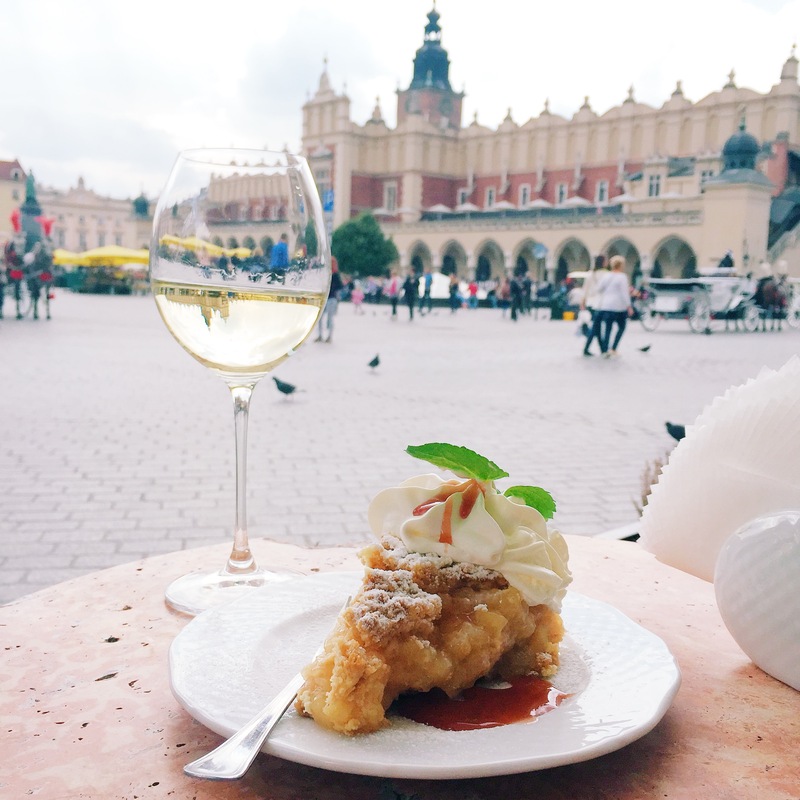 Apple pie and vino on the main square. Mixed pierogies platter at Prystanek Pierogarnia and lunch at Boulevard 11. Pretty salad at Wesela and mulled wine on the square! Since I was traveling alone, I wanted to stay somewhere relatively nice and most importantly, safe. After doing a little research on the old Google.com, I found Hotel Unicus. After perusing all the reviews online and checking out the photos and location, I was sold. It’s just two blocks from the main square which means it’s quiet at night, but just within an arms reach all at the same time. As with most European hotels they had single occupancy rooms available (which are always cheaper), so I reserved one of those. The room was actually pretty spacious for the fact that it had a twin bed in it! The bathroom was big too. I loved my little room! In addition to that, because I paid in full prior to my arrival I also received free breakfast each morning – and the breakfast was GOOD. They had all kinds of fruit, meats, hard-boiled eggs, breads, cereals, french toast, etc. It was the perfect way to start the day! Below are a couple photos I snapped at the hotel. I recently went on a trip to Europe with my mom, and we took a tour of Dachau. I agree with you, it’s odd to say that the tour of Dachau was one my favorite things we did on our trip. It was an incredibly somber, yet educational experience. There was nothing quite like walking the grounds of Dachau and standing where such horrific things had happened. I was surprised to hear that the original prisoner barracks were still standing. Our guide told us that the prisoner barracks at Dachau were torn down because it was such a health hazard for them to be standing. Great city guide…your blog is always so fun to read. I give you credit for touring these two prisons. I don’t think I could do it. It’s horrific to contemplate what happened there. To think that one chair represents thousands of victims is so sombering. Karakow looks like a beautiful city to visit. The food looks amazing, especially the Pierogarnia (and the apple pie of course). Really enjoying your city guides. Looking forward to your next one! Sounds like a very eye opening and heavy visit, but a really neat city. 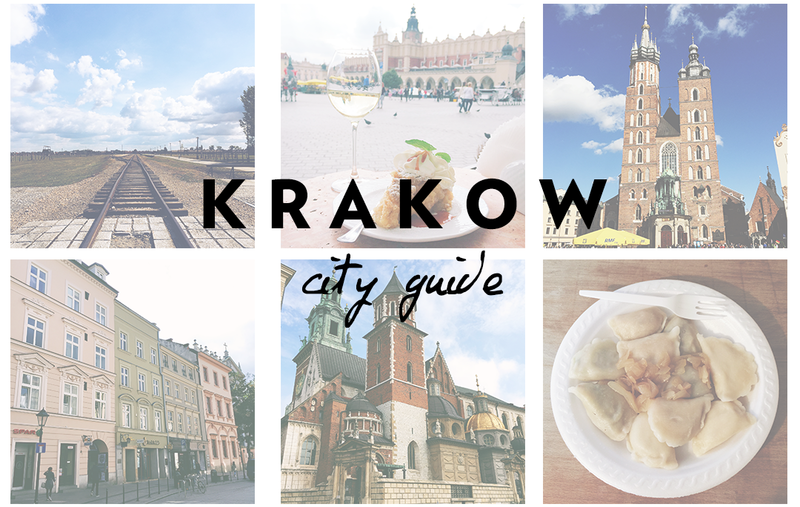 Thank you for sharing the city guide – I’d love to visit Poland one day soon! I simply love this city guide and your other ones. This is definitely a bucket list city to visit. I have been loving your photos. I never realized how beautiful Poland really is, my grandma is from Poland would love to visit. And what a wonderful hotel! These are incredibly stunning photos, some very humbling as well. This is a really great post, I definitely need to see this in person one day. Thanks for sharing! Wow, I seriously want to do the concentration camp tours one day. I think it’s so important to see, especially as I am Jewish. But not an easy trip, that’s for sure.